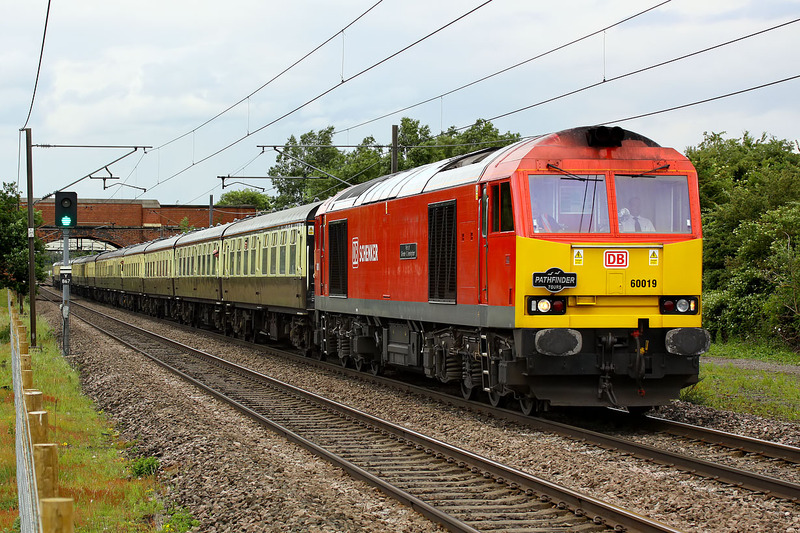 60019 Port of Grimsby & Immingham passes Great Heck on 22 June 2013 with the 1Z82 15:45 Leeds to Bristol Temple Meads 'Loopy Doughnut' railtour. Note the green signal on the left. After being double amber for the entire time I was stood waiting, at the critical moment the signal changed, and a Class 91 hauled East Coast service was fast approaching from the rear. Just seconds after I took this picture the view was completely blocked!